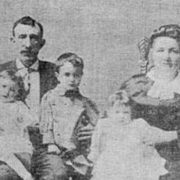 According to the Pennsylvania Census for 1910 Harry J. Keser was residing in the County of Montgomery with his wife Mary, son Floyd and two servants. Keser was born on the 30th March 1873 and educated at a local public school and went on to Girard College. 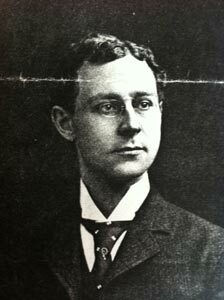 He joined the Philadelphia National Bank on 11th June 1888 at the age of 15. On the 11th April 1894 at the age of 21 he married Mary Bringhurst Floyd, a school teacher and Principle of a public school 10 years his senior. 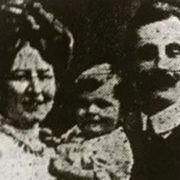 Their only son Floyd was born on the 30th August 1897. Harry’s career continued to progress with the Philadelphia National Bank and on the 26th April 1901 had been promoted to Assistant Cashier, and again to Cashier in 1904. In 1907 the couple took a vacation in Italy, returning on the Konigin Louise and in 1909 after visiting relatives in Germany, returned to New York on the Amerika. During this time the couple resided at Summit Avenue, Jenkintown. By 1915 Keser was Vice President and was in line for promotion to President of the Philadelphia National Bank once the current President Levi L Rue retired. 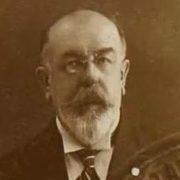 He had agreed to handle financial business in England, Russia and France on behalf of the Bank, passports were applied for and issued to Keser and his wife who would be accompanying him on the voyage on the 28th April 1915, the trip was expected to last up to 6 months. Their son Floyd had planned to join his parents in Europe later in the year after finishing his freshman year at the University of Pennsylvania. 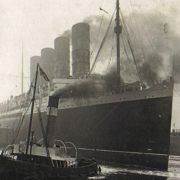 Passage was booked on the RMS Lusitania sailing on the 1st May, and the couple were allocated cabin B11 on the Promenade deck. 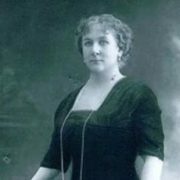 Just before the Lusitania departed, Mary Keser managed to write her son a short letter from the first class writing room, catching the last post off the ship. 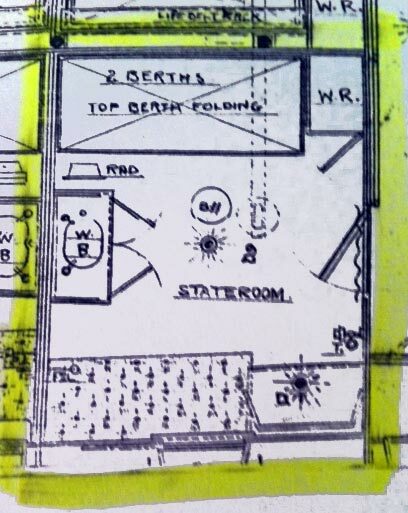 The whereabouts and the activities of the Keser’s during the final voyage is not known with the exception of two recorded sightings, firstly dining at Captain Turner table in the company of Mrs Jessie Taft Smith (survivor) and lastly being seen by Mrs Maude Thompson (survivor) on A deck just after the ship had been torpedoed. The couple were helping Charlotte Luck and her to two young sons Kenneth and Elbridge. The couple drowned in the sinking. In Philadelphia Floyd Keser had been attending the theatre and only knew of the disaster when he stopped in front of a news bulletin board and saw the announcement. After the disaster, rumours circulated that Keser was actually going to Paris with fellow Philadelphia businessman William Sterling Hodges (Paris representative of the Baldwin Locomotive Company) but these were strenuously denied by the bank. Hodges, his wife and two young sons also perished in the disaster. Whilst waiting for news of his parents, he was joined from New York by his aunt Miss A Louise Keser who comforted the boy whilst waiting for news of his parents. # 255. Harry J Keser (Saloon) Passenger – body was reportedly washed ashore and identified. His property was handed over to American Consul at Queenstown July 22nd 1915. Harry was identified by his gold watch and documents he had in his pockets. His body forwarded per SS “St Paul” July 31st C/o Messrs Kirk & Nice Undertakers Germantown, Philadelphia, Pa. Both were interred next to each other in the cemetery of St Thomas Whitemarsh, Philadelphia. The two cases are numbered and styled as above have been considered and will be disposed of together. They are before the Umpire for decision on a certificate of the two National Commissioners’ certifying their disagreement. It appears from the records that Harry J Keser, 42 years of age, and his wife Mary Floyd Keser, 52 years of age were lost with the Lusitania. Their son Floyd Bringhurst Keser, an only child, then 17 years of age, survived them. Both Mr. and Mrs. Keser left wills which have been duly probated and Charles Hunsicker was named, has qualified, and is acting there under. The surviving son, who was born and has ever remained an American national, is the sole legatee under both wills. At the time of his death, Mr. Keser was Vice – president of the Philadelphia National Bank, receiving a salary of $12,000 per annum. His prospects for advancement were good. 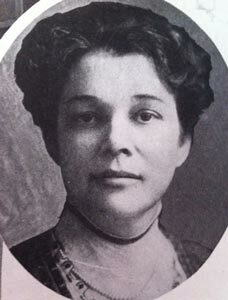 Prior to her marriage Mrs. Keser had been a teacher and principle of a public school. 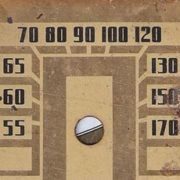 She possessed a separate estate inventoried at slightly in excess of $17,000. She carried no insurance. Mr. Keser’s estate, exclusive of insurance, was approximately the same value. The life insurance on the life of Mr. Keser collected by his estate aggregated slightly in excess of $150,000. It appears from the record that Mr. Keser spent practically his entire income in maintaining his domestic establishment and paying living expenses of himself, wife and son and the premiums on the insurance he carried and that of his property accumulations were comparatively small. Mr. Keser had with him on the Lusitania property of the value of $1,692.00 which was lost. Mrs. Keser had with her property of the the value of $645.00 which was lost. Mr. Keser had covered the property with war-risk insurance to the extent of $1,000, which amount was on July 15, 1915, paid to Charles Hunsicker, Executor, who in turned assigned to the Insurance Company of North America – an American national – an interest in the claims here asserted to the extent of the payment it made. The claims here put forward were completely impressed with American nationality both on the date when the loss, damage, or injury occurred and when the Treaty of Berlin became effective. In the recovery and burial of the body of Harry J Keser the executor of his estate incurred expenses aggregating $844.61, which he has paid. In the recovery and burial of Mary Floyd Keser the executor of her estate incurred expenses aggregating $528.50, which he has paid. Applying the rules announced in the Lusitania Opinion, in administrative Decision No. V, and in the other decisions of this Commission to the facts as disclosed by the record herein, the Commission decrees that under the Treaty of Berlin of August 25, 1921, and in accordance with its terms the Government of Germany is obligated to pay to the Government of The United States on behalf of (1) Floyd Bringhurst Keser the sum of twenty-five thousand dollars ($25,000.00) with interest thereon at the rate of five per cent per annum from November 1,1923, and (2) Charles Hunsicker, Executor of the Estate of Harry J Keser , Deceased, the sum of one thousand five hundred thirty-six dollars and sixty-one cents ($1,536.61), (3) Charles Hunsicker of the Estate of Mary Floyd Keser, Deceased, the sum of one thousand one hundred seventy-three dollars fifty cents ($1,173.50), and (4) the Insurance Company of North America the sum of one thousand dollars ($1,000.00), with interest on each of the three amounts last mentioned at the rate of five per cent per annum from May 7, 1915. Ordered, That the award in the amount of one thousand dollars ($1000.00), with interest, on behalf of the Insurance Company of America, as included in the decision of the Commission entered on January 7, 1925 under Docket Nos. 1336 and 1337, be, and the same is hereby cancelled. The said decision in all other aspects remains unchanged. Done at Washington June 18, 1931. With special thanks to Jim Kalafus and Mike Poirier.